Dark-Readers: THE INFINITE SEA BY RICK YANCEY | Read-along + Signed Giveaways! 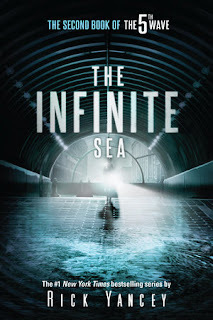 THE INFINITE SEA BY RICK YANCEY | Read-along + Signed Giveaways! In anticipation of THE LAST STAR coming out on 5/24, we're re-reading THE INFINITE SEA! Join along on social with #TheInfiniteSea and enter for a chance to win signed copies of all three books in The 5th Wave series and a phone call with Rick Yancey! Click here to sign up! WEEK 5 (3/29-3/31): Chapters 69-84.